iewed through the prism of today's engine downsizing trends, the E60 version of the BMW M5 beggars belief. Yes, you really could get a four-door saloon with a screaming V10. Lots of M5s have been under £20k for some time now, but these are not easy (or cheap) cars to run, though many have tried. The really good examples are few and far between. This example looked great, however, so we gave it a good look. The paintwork was smooth and even across the body. We couldn't find even a minor dent or scratch anywhere. The only blemishes were some very minor stonechips to the nose that had only taken away a little lacquer, leaving the paint unhurt. The alloy wheels were free from corrosion or kerb damage, and the only items on the shopping list come purchase time would be some fresh centre caps. Each wheel wore Continental ContiSport 2 tyres, all with plenty of tread remaining. The underbonnet area was clean, and all the fluids were up to the maximum mark. A lot of M5s show plenty of wear inside, but you'd be hard-pressed to find much evidence of use at all in this example. There was light creasing to the oh-so-comfortable leather chairs, but that's about it – there wasn't any appreciable wear on the seat bolsters and the front and rear passenger seats appeared to be unused. The control interfaces were free from wear and tear, looking as fresh as they must have done when the M5 rolled new off the forecourt. All the gadgets worked correctly, including the heads-up display on the screen. The thick paperwork file with this car detailed largely regular servicing. The last owner gave it regular specialist support every six months, and it had a gearbox overhaul in 2017 along with a new flywheel, clutch and rear main oil seal at a cost of £3143. The last service was in June 2018. It's as fresh as a daisy. That means there's little guilt in extending that fabulous engine. If you've never driven an E60 M5, you really ought to. The banshee-like scream can wake the dead, and its sheer pace still shocks 14 years after the M5's launch. It handles too with crisp turn-in and bags of feel. And the gearbox, source of much misery? As long as it's in its sharpest setting, it's all good. With few decent M5s around, a good one like this is hard to find. It won't be long before they grow in value. 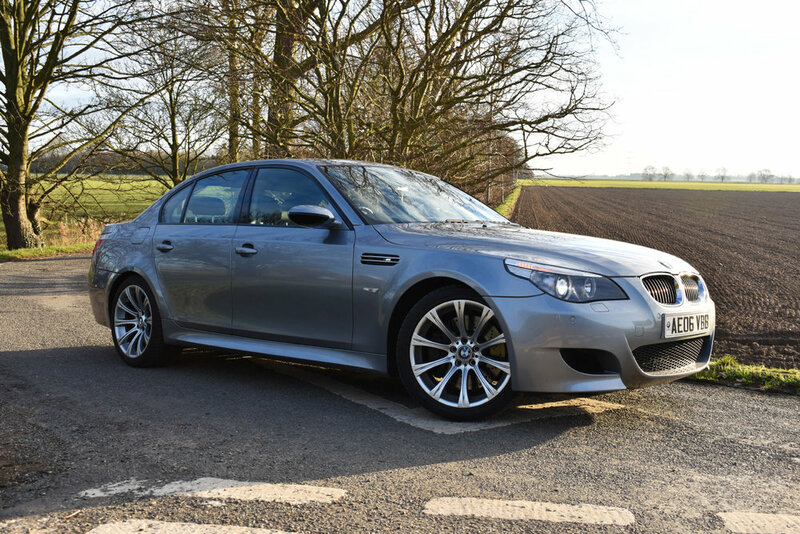 2005: The M5 goes on sale, and was the first production saloon to feature a V10. Compared to a normal E60, it had a wider track, unique body panels, heads-up delay and heated seats. The S85B50 engine produced 500bhp, which in the UK was only available with the Getrag SMG III semi-automatic gearbox, with launch control available. North America and Canada had the option of a six-speed manual gearbox. 2007: M5 Touring estate version is launched. 2010: Production ceases, with 20,548 sold, 1776 of them in the UK – which interestingly is 129 more than Germany. A black Mercedes-Benz S-Class exudes menace. This 7.0-litre V12 one has the bite to match the bark.